Ubisoft occasionally likes to tease upcoming projects in their released games and slowly just wait for people to figure it out. This seems to be the case with The Division 2, which featured posters of a viking since release. YouTuber JoRaptor noticed that the posters contained something a lot more identifying, however: the Apple of Eden, Assassin's Creed series-spanning maguffin with magic powers. This hints at a new Assassin's Creed game set in the cold Norse waters, but Kotaku has gone ahead to chime in with their own sources to confirm it. A viking game makes sense with the current direction of the series, which focuses more on action RPG combat, character builds, and lots of boats. In that sense, a viking game flows well from what Assassin's Creed Odyssey established with its Grecian theme and structure last year. With the Apple of Eden playing a part in the poster, it seems likely the First Civilization treasure will have something to do with the game's story. Ubisoft has stated that Assassin's Creed will be skipping 2019, marking the second time ever that the series has skipped a year between annual releases since it became annualized. This would mean that this apparently 2020 game would very likely be a cross-gen game, assuming rumored schedules for next-gen consoles stay firm. 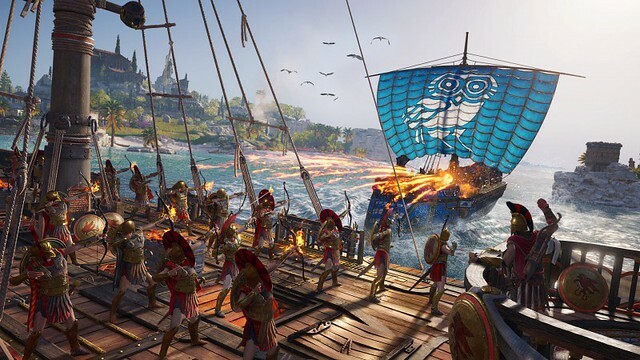 Ubisoft is no stranger to this strategy, as Assassin's Creed: Black Flag saw a release on both older generation consoles and newly released consoles at the same time. I just haven't spent any decent time with any of these AC games. I have several, through whatever package sales and the like, but the only one anyone in my household has played is Black Flag, which my sons enjoyed for a while. I think it's wise they're skipping a year, if only for the fact that gamers get tired of the 'crap another one out every year' drive that diminishes the excitement and value around a game. Of course, don't go the other direction like R* with RDR2 and wait a decade, lol. Given the scales of these games since Origins, having bi-annual main-title releases with expansion packs in the off-years seems more sound. Odyssey is massive. 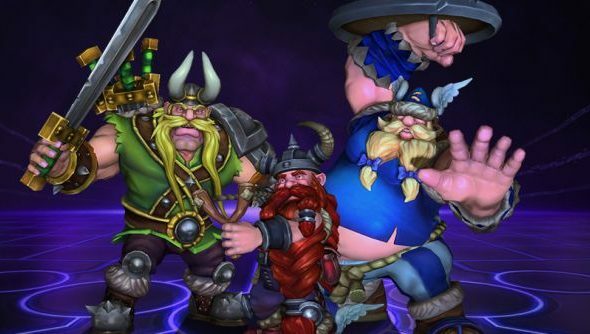 It would be no surprise to see them go Vikings next, just to coincide with the theme of the gameplay. Look at the box art for Odyssey and imagine Alexios is replaced with a Viking. Not very hard to do. The Kassandra I'm playing is practically a rough-and-tumble ball-buster, which fits into popular depictions of Viking women. That's everyone's favorite, but the recent two are well worth spending time on. Origins was well liked and fun, with some welcome changes to play mechanics, and Odyssey continued on that and is probably now the most liked since Black Flag. They both have some ship combat, although not all the ship upgrading like of old. Your upgrades are on your weapons and skills, with a nice wide choice on how you want to play. I haven't played one of these games since IDK AC 3. But Vikings or feudal japan done well might get me back in. Funny, I thought most people were begging for Samurai, not Vikings. Vikings seems like it just isn't different enough from Odyssey. And what people really want is Black Flag 2. When you want to be implicit that your game is about whites, but not explicit. Last edited by blackzc; 04-06-2019 at 07:07 PM.. I got Odyssey from Project Stream and loved it while I played it. Can't wait to get back to it. Yeah I think it is being kept Euro-centric because they don't have the cultural cachet for Asian mythology or religion. I would be surprised if they did a Chinese or Japanese one on the scale of Odyssey. There was some "Of course they kept it in Europe." on this announcement. Funny, I thought most people were begging for Samurai, not Vikings. Yea, I've definitely heard more requests for feudal Japan than Vikings. That said, I'm down for a Vikings AC game. I played a few hours of Odyssey before being distracted with RDR2 and Spider-Man, so I need to go back and finish the story one of these days. I wonder how people will react to Vikings. One of the biggest complaints about Assassins Creed III was that colonial United States was just not that interesting of a location. Buildings were small, sparse, and not that intricately detailed. Origins, and especially Odyssey, got around this by being able to exploit iconic regions, buildings and monuments, and making the ancient world alive and vibrant with insane level of details in world construction. I guess now that the traditional Assassins Creed formula no longer exists (ie. very strict observation, stealth, and execution) going back to a more down to Earth Assassins Creed can still resonate with people, but we will have to see how the audience reacts. The real shame here is that Ubisoft can't go back and do Black Flag 2, because they invested a bunch of money in Skull and Bones and a Black Flag 2 would undercut everything they are trying to do with that title. I hope this rumor is wrong and they decide to do Samurai instead, that would be a much more fun setting than Vikings. Vikings just isn't significantly different from Odyssey really. Vikings just isn't significantly different from Odyssey really. I think that's the point. Asset reuse. I recognize what they reused from Origins. Refined, but almost 1:1. That allows them to focus on building. Odyssey's scale is, to me, equivalent to *all* of Ezio's games combined. Vikings may be the last of a series leading to a new generation of titles or continuing a trend of "Tons of content in a new cultural context using the same engine." Man, haven't even called out how Mercenaries was clearly inspired by Orc Captains from Shadows of War. I wonder what else they'll lift for Vikings that's trending. Perhaps you guys haven't been paying attention but outside of Games, Vikings are very popular right now. Oh, yes. Assassin's Creed: Thorn. One of my favorites from back in 2020. -- Future me. Inside of games, Vikings are often lame. Assassin's Creed: Stone Age. Calling it first. Well, I did like Far Cry Primal, so they can recycle some assets. Add some hair to the elephants from Origins, stick with clubs, spears, bows. The Eden civ. stuff pre-dates it all anyway.